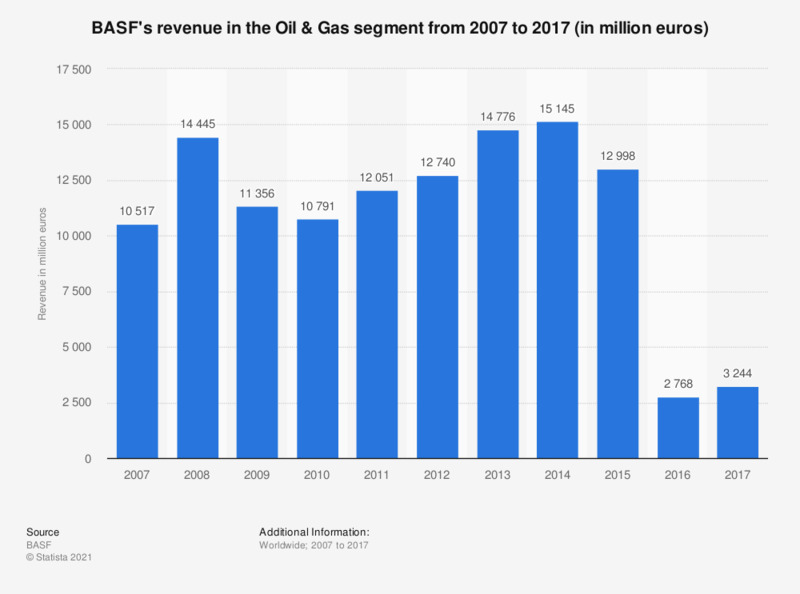 This statistic shows BASF's revenue in the Oil & Gas segment from 2007 to 2017. BASF is the largest diversified chemical company worldwide and is headquartered in Ludwigshafen, Germany. In 2017, BASF was able to achieve some 3.2 billion euros of revenue in the Oil & Gas segment. On September 27, 2018, BASF and LetterOne merged their oil and gas businesses in a joint venture. The new joint venture will operate under the name Wintershall DEA. Since the agreement was signed, BASF no longer reports on its oil and gas business as a separate Oil & Gas segment.